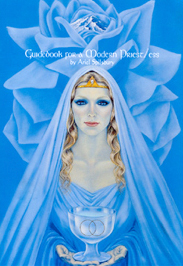 The Alchemy is the parent work from which the13 Moon Oracle was created. This is not a book. 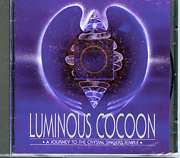 It is a guide for people desiring to enter into self-initiation into the female Mysteries. This work communicates spiritual truth directly from the Mystery, speaking directly to the Essence Self. It is a lifetime’s curriculum into the wisdom of the Divine Feminine. 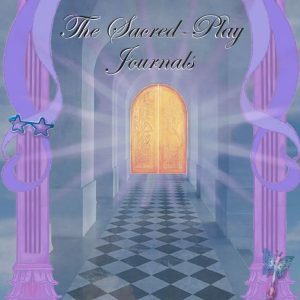 This writing has been described as the James Joyce of women’s spirituality and the Shakespeare of Divine Feminine consciousness. Though it cannot be compared to any linear, expository writing, it represents a new holographic form whose intention is to transform the reader through the reading of this material, by shifting the brain into a holographic rather than linear mode of operation. 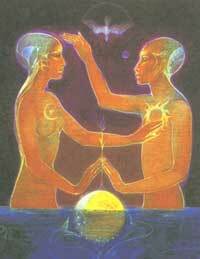 It is a direct mystical transmission from the Divine Feminine. It is a part of the Body of the Goddess. If this material made sense solely to the rational mind, it would not be a part of the Body of the Mystery. This feminine mystery school life time curriculum is only available in LIMITED EDITION MANUSCRIPTS. Listen to interview with Ariel conducted by Shift Network about how to work with Alchemy of Ecstasy by downloading this file.